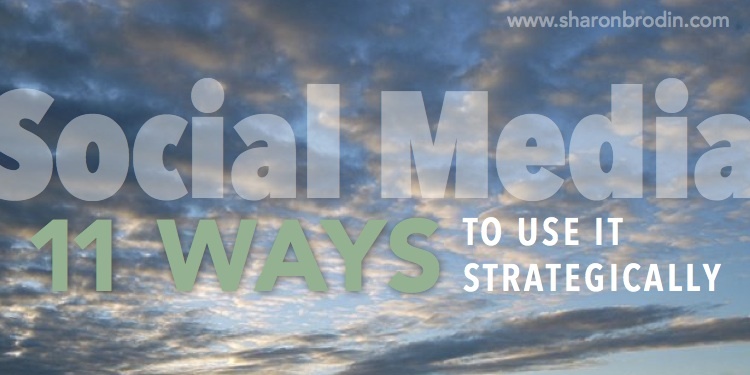 Social Media can work hard for your organization…if you use it strategically! Most of your target audience—even your avid followers—aren’t going to your website. But they are on social media. Know the platforms they frequent, and be there, too! This is the best way to strategically use your social platforms. Let your followers know when you’ve just published content you know they’ll love, and let them know how to find it with a link. Social media has become the way for people to voice their opinions. You can get a feel for peoples’ attitudes, likes and dislikes through their comments on your social platforms—and your competitors’ social platforms! Ask your followers a question and start getting responses within minutes. With so many people attached at the hip to their cell phones, you won’t have to wonder long what they think about just about anything! Are you stewing over a new brainstorm, a new product, a new service and wondering if you should go for it? Ask your followers what they think of your new idea before investing in developing it. When someone voices a complaint on social media it’s the perfect opportunity for you to resolve their issue. Address it quickly and thoroughly and you’re likely to turn that unhappy customer into a fan. When you know you have content on your website that’ll benefit your social followers, point them back to it. This is the benefit of promoting your content (#1) on your social platforms. This should always be your main goal of both your website and your social platforms. Once they’ve given you permission to contact them via their email address, you know they’ve moved beyond a casual social fan. These names will be your best bet for them becoming eventual customers. Share the valuable content of other influencers with your social followers. You’re not only benefitting your followers, you tend to reap what you sow with the other influencers. Since social media is by nature social, engage in the very human act of conversation with your followers. I was just able to do this with a client: One of my client’s customers commented on my client’s Facebook page. I saw the comment and followed up with that customer for permission to feature them in a blog post for my client. They were happy to grant a phone interview, send photos and give a great testimonial about my client’s product. It was a win-win for both my client and their customer. Would you like help with your social media strategy? Let’s talk!